BTR: Jesse was a Marine to the end. His action I'm sure saved bikers lives. According to AP reports with no weapon Jesse took on a man with a gun twice his size at 65 years old. As a Navy man '65-'70 who spent the last 2 yrs of my service working with Marine Recon I say to you "Semper Fi" my brother....Gutsy move Jesse..
Our condolences and prayers go out to the Rodriguez family. A New Braunfels man who was killed during a biker shootout in Waco earlier this year was shot after he attempted to tackle another man with a weapon. According to newly-released reports, Jesus ‘Jesse’ Delgado Rodriguez, 65, of New Braunfels — a Purple Heart recipient sometimes affectionately known to friends and family as ‘Mohawk’ — can be seen in video footage of the incident attempting to stop another biker armed with a gun. Rodriguez was then attacked by a third man before being fatally shot. The information also states that four of the nine people killed in a melee between rival biker gangs outside a Texas restaurant were struck by the same caliber of rifle fired by Waco police, according to evidence obtained by The Associated Press that provides the most insight yet into whether authorities were responsible for any of the deaths and injuries. Bikers have criticized the way police dealt with the incident and believe the ballistics findings prove that officers made the situation worse. The gunfire had erupted shortly before a meeting of a coalition of motorcycle clubs that says it advocates for rider safety. Waco police assigned 16 officers to watch over the gathering, and state police were present. Police dashboard video shows a tight group gathered in front of the Twin Peaks patio. A biker can be seen striking others with a chain. Twenty seconds later, the biker is shot in the leg and the hip, staining the grass with blood. One biker shoots while running backward away from the parking lot while another fires from the patio. The group quickly disperses, with many taking cover behind cars and trucks. 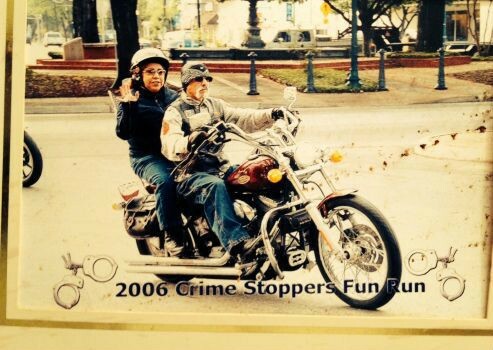 Department of Public Safety video shows Rodriguez tackling another biker brandishing a gun. The two wrestle on the ground until another biker approaches and appears to stomp on Rodriguez. The biker with the gun then shoots Rodriguez and walks away. “They got people shooting at people,” a man reports in a call to 911. During another 911 call, a man can be heard urging people to get in the cooler. In the background of that call, police can be heard saying, “Hands up! Everybody keep your (expletive) hands up!